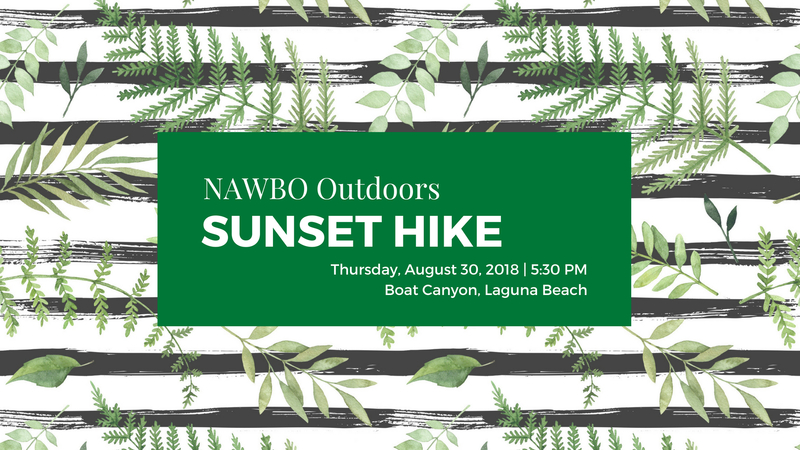 We believe that communing with nature feels good and builds community, so join us for a sunset hike at Boat Canyon in Laguna Coast Wilderness Park. This is a 4-mile hike, moderate intensity with breaktaking views. Free parking on the street or $3 in the Laguna Coast Wilderness Park lot. We will meet at Gate 14. **This is a members-only event. Members can bring one non-member guest.